«We think and God thinks» illustrated quotation. Meaning, free quote pictures for Facebook, Twitter, LinkedIn, Reddit, Pinterest and other social networks. We think and God thinks. Our thoughts are conditional, and thoughts of the Lord are performed. God can see the movement of our thoughts. And He reveals His thoughts to us. 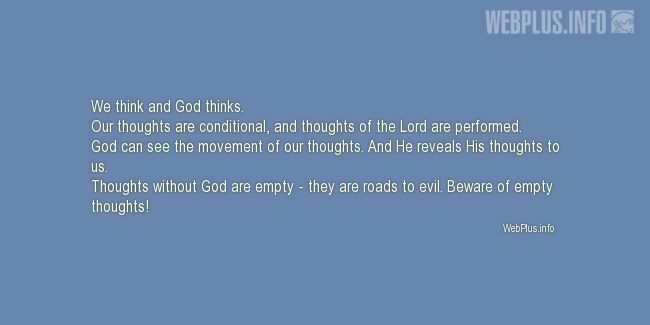 Thoughts without God are empty - they are roads to evil. Beware of empty thoughts!